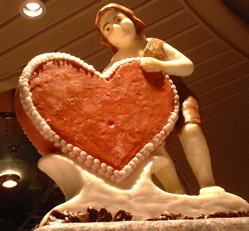 There’s a lot of mystery around the history of Valentine’s Day. In this audio, generously read by novelist Kristin Elizabeth Clark (Chunk, Jess, and the Road to Infinity, Freak Boy, Leaving The Bellweathers), we learn some strange, funny Valentine stuff. Teachers will find the written text, gap-fill, and suggestions for more activities in the downloadable handout. P.S. Afterwards, listen to the “outtakes” audio. We just couldn’t stop laughing.